In this proposed spec for stage 1 Casper, Ethereum will transition from pure proof of work to hybrid PoW/PoS. In this scheme, all of the proof of work mechanics will continue to exist, but additional proof of stake mechanics will be added, and the fork choice rule (ie. the way that a client determines which chain is "the canonical chain") will be modified to take these mechanics into account. A "Casper contract" will be published at some address CASPER_ADDR, and this contract will include functionality that allows anyone to deposit their ether, specifying a piece of "validation code" (think of this as being kind of like a public key) that they will use to sign messages, and become a validator. Once a user is inducted into the active validator pool, they will be able to send messages to participate in the PoS consensus process. The "size" of a validator in the active validator pool refers to the amount of ether that they deposited. The purpose of the PoS consensus process is to "finalize" key blocks called "checkpoints". Every 100th block is a checkpoint. In order for a block to be finalized, a subset of validators in the active validator pool with total size of at least two thirds the total size of the active validator pool need to send "commit" messages for that checkpoint. Once a block is finalized, the theory is that "one can never go back"; even if 99% of miners start supporting a chain that does not contain that block, clients will still accept that block as finalized. The contract implements a set of rules called "slashing conditions"; these rules were carefully designed to have the property that if two incompatible blocks are finalized (eg. A and B are finalized where A and B are both children of C), then no matter how such a situation arises, there MUST exist some set of validators, with total size equal to at least 1/3 of some recent active validator set, which sent messages that trigger some slashing condition. If a validator does this, then "evidence" of this fact can be sent into the Casper contract, and the validator's entire deposit will be destroyed (except 4%, which is given to the evidence submitter as a "finder's fee"). Hence, reverting a finalized block is extremely expensive, likely more expensive than the cost of buying enough mining hardware to repeatedly engage in 51% attacks against the current PoW-only Ethereum chain forever. An implementation of the "fork choice rule", the function which determines what the "canonical chain" is. This is the replacement for the "longest chain rule" in PoW. A daemon (or integrated software package) that implements the logic needed to be a Casper validator. At initialization time, let HEAD be the genesis block. For every checkpoint, keep track of the prepares and commits that you receive from the active validator set of that current block. To do this, when you receive a prepare/commit, inspect the prepare/commit to see what epoch and hash it is for, then call casper.is_in_active_validator_set(i) where i is the validator index specified in the prepare/commit, using the post-state of the checkpoint block in question. If this call returns yes, and if the signature validates, then the prepare/commit is valid for that checkpoint. Define score(checkpoint) as the total size of valid commits for the checkpoint IF the total size of valid prepares is at least 2/3 of that checkpoint's active validator set, otherwise zero. If, after processing a prepare or commit for some checkpoint CP, you find that its score is greater than the score of the HEAD, then let ANC_CHAIN be the chain of ancestors of the HEAD going back to the common ancestor between CP and HEAD (including the HEAD, but not including the common ancestor itself). If score(CP) > score(C) for all C in ANC_CHAIN, then set HEAD = CP. If you receive a checkpoint NEW_CP which is a direct child of HEAD, set HEAD = NEW_CP. For each checkpoint, keep track of the proof-of-work longest chain starting from that checkpoint, up to a maximum depth of 99 blocks (eg. for some checkpoint where block.number = 17200, keep track of the descendant with the highest block number but ignore any blocks with block.number >= 17300. To determine the head at any time, simply take the head of the proof-of-work longest chain starting from HEAD. This release fixes a bug in the optimizer (more about this on the blog), introduces the standard JSON interface, adds interface contracts and implements some additional safety checks. The standard JSON interface provides a unified way to invoke the Solidity compiler in order to ease cross-platform adoption and compilation verification. C API (jsonCompiler): Add the compileStandard() method to process a Standard JSON I/O. Commandline interface: Add the --standard-json parameter to process a Standard JSON I/O. Commandline interface: Support --allow-paths to define trusted import paths. Note: the path(s) of the supplied source file(s) is always trusted. Inline Assembly: Storage variable access using _slot and _offset suffixes. Inline Assembly: Disallow blocks with unbalanced stack. Static analyzer: Warn about statements without effects. Static analyzer: Warn about unused local variables, parameters, and return parameters. Assembly output: Implement missing AssemblyItem types. 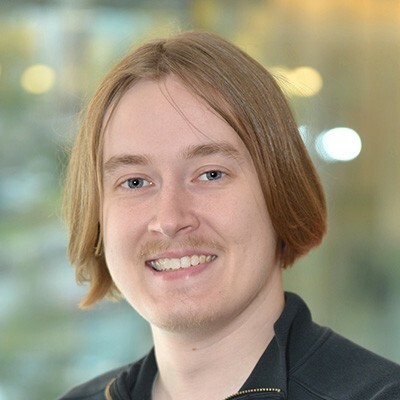 Compiler interface: Fix a bug where source indexes could be inconsistent between Solidity compiled with different compilers (clang vs. gcc) or compiler settings. The bug was visible in AST and source mappings. Gas Estimator: Reflect the most recent fee schedule. Type system: Contract inheriting from base with unimplemented constructor should be abstract. Optimizer: Number representation bug in the constant optimizer fixed. If you want to perform a source build, please only use solidity_0.4.11.tar.gz and not the zip provided by github directly. Geth 1.6.1 is mostly a bugfix release adding various polishes throughout the codebase. Highlights of the release are the capability to iterate over a contract's storage entries via the RPC; transitioning Whisper to protocol v51.6.1 milestone. geth init and geth removedboperate on both full and light chains (#14412). Forbid leading zeroes in RPC block numbers (#13886). Friendly error if the user tries to reinit its chain with an incompatible genesis (#14358). Return  instead of null when listing accounts but none can be found (#14374). When generating bootnode keys, print and exit, don't start up node (#14372). Make network IDs uniform uint64 everywhere (#14377). Fix data race in during native dapp node restarts (#14379). Support setting flags after sub-commands too (#14388, #14413). Fix clique miner ugly error log when starting a new network (#14411). 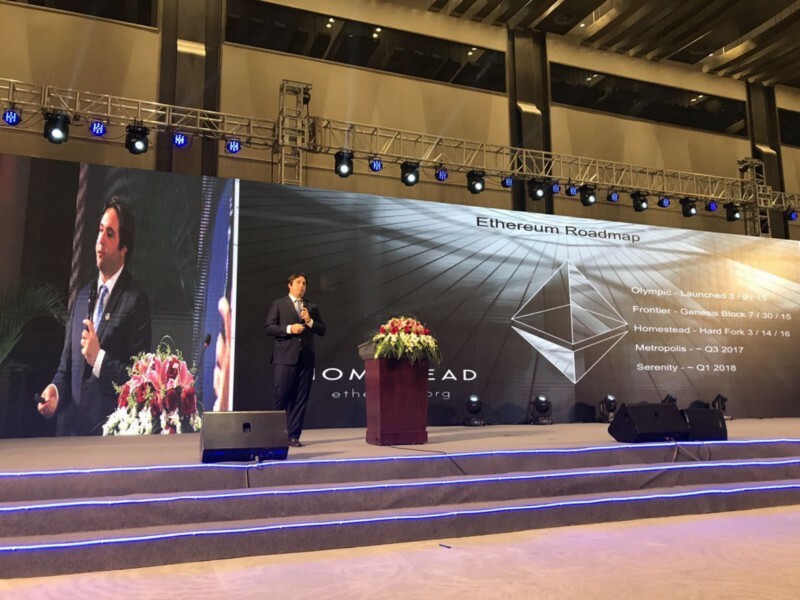 Last week, I was fortunate enough to be invited to the city of Hangzhou for the Global Blockchain Financial Summit. 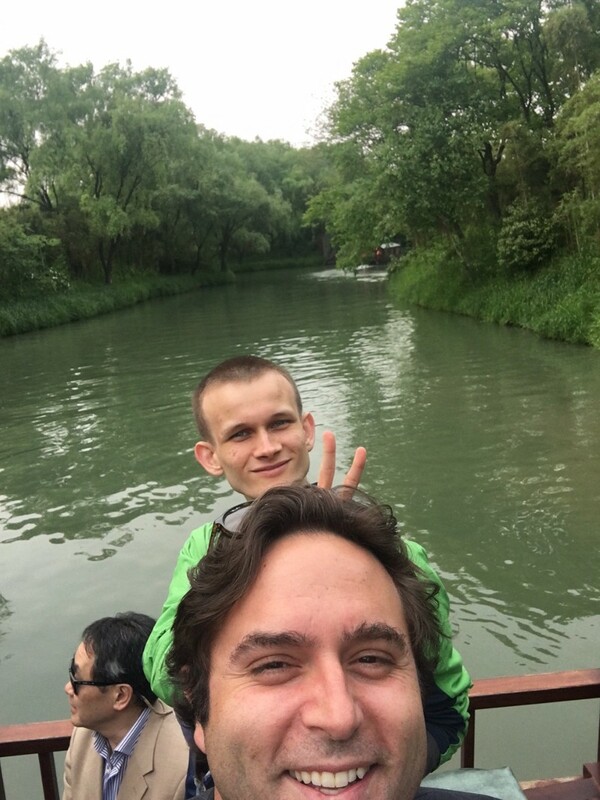 During this trip to China, I learned about the burgeoning Ethereum communities in Beijing, Shanghai, Nanjing and Hangzhou. Every night we hosted an Ethereum meetup and it was standing room only in each city. The first stop on the tour was Peking University, the #1 ranked university in China. Peking University is a comprehensive and national key university. The campus, known as “Yan Yuan”, is situated at Haidian District in the western suburb of Beijing.The university has effectively combined research on important scientific subjects with the training of personnel with a high level of specialized knowledge and professional skill as demanded by the country’s socialist modernization. Thus Peking University has become a center for teaching and research and a university of a new type, embracing diverse branches of learning such as basic and applied sciences, social sciences and the humanities, and sciences of medicine, management, and education. 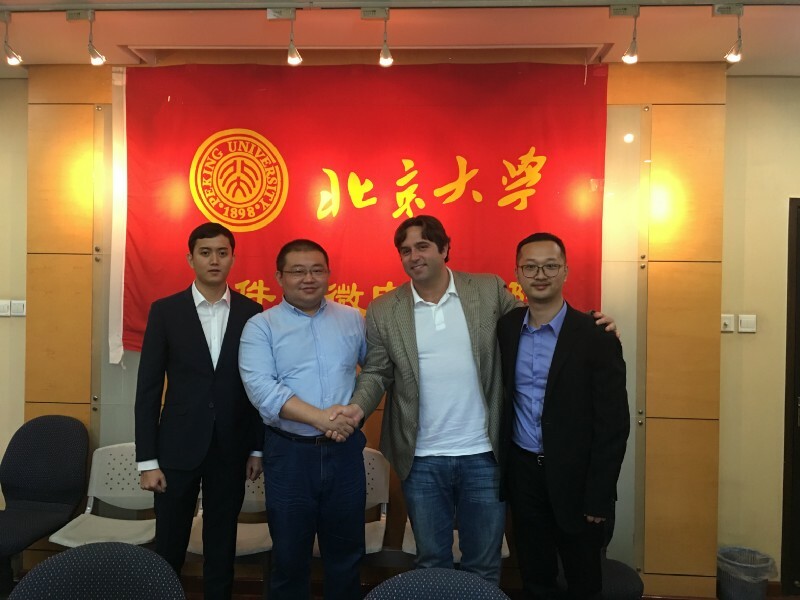 Peking University is creating an Ethereum Laboratory to work on protocol improvements and application use cases that effect China, specifically in supply chain and energy markets. The Royal Chinese Mint is the subordinate unit of China Banknote Printing and Minting, which is responsible for the electronic banking mission of China Bank, concentrating on the research and exploration of the forefront of digital money, taking part widely in innovation and practice in the fields such as digital currency, mobile finance, smart-city construction and Internet based finance; it also actively promotes the application of blockchain technology in finance and related fields. The Royal Chinese Mint is experimenting with the ERC 20 token standard and Ethereum smart contracts to digitize the RMB. Nanjing is the capital of Jiangsu province, another key city in Yangtze River Delta Region. JBI was founded in Dec, 2016. The establishment of the institute is approved by provincial government aiming for promoting industrial upgrading on a strategic level. 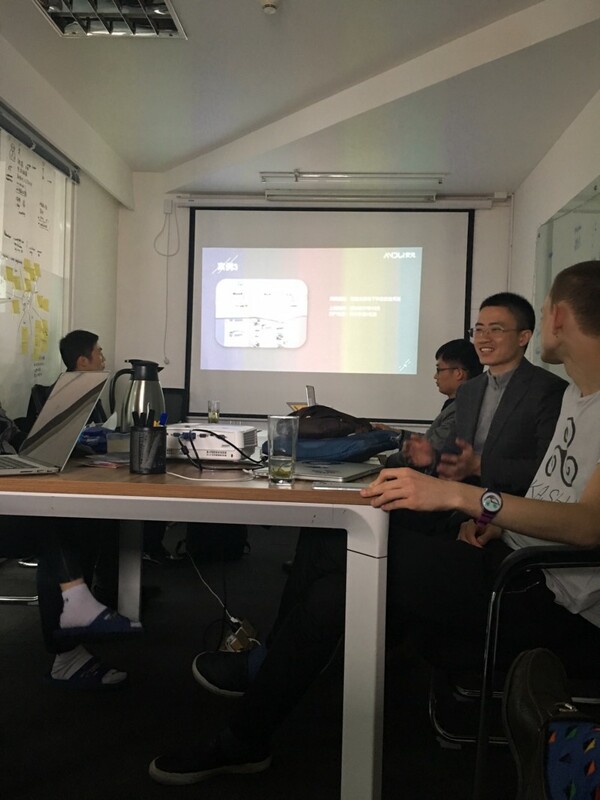 Currently, JBI focuses mainly on blockchain technology application to industry and personnel training service. 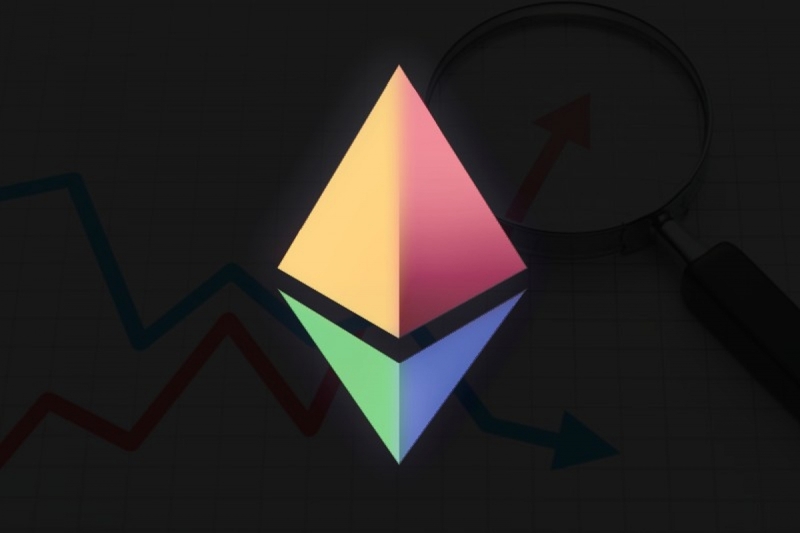 JBI has 30 developers and researchers focused solely on Ethereum and have recently translated much of the Ethereum and EEA documentation into Mandarin. 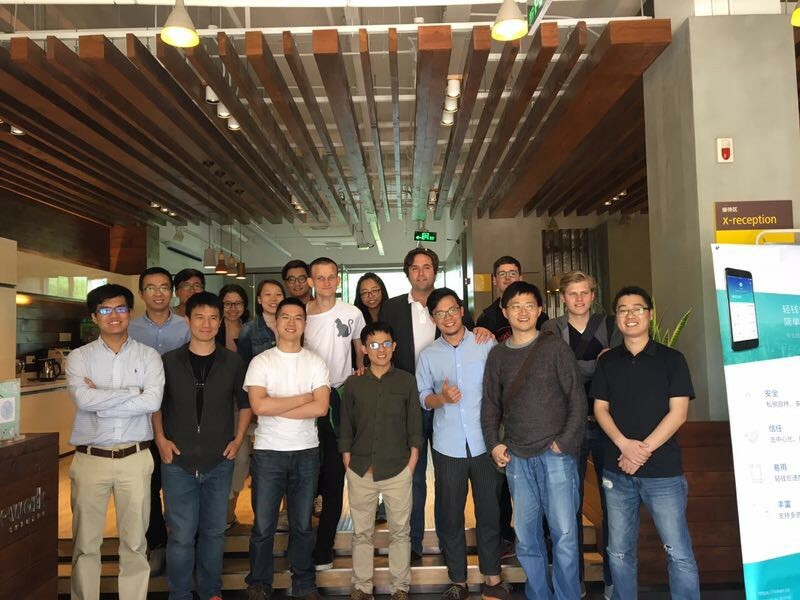 JBI will be a powerhouse in the Ethereum-ecosystem and will become a beachhead for corporations outside of China. 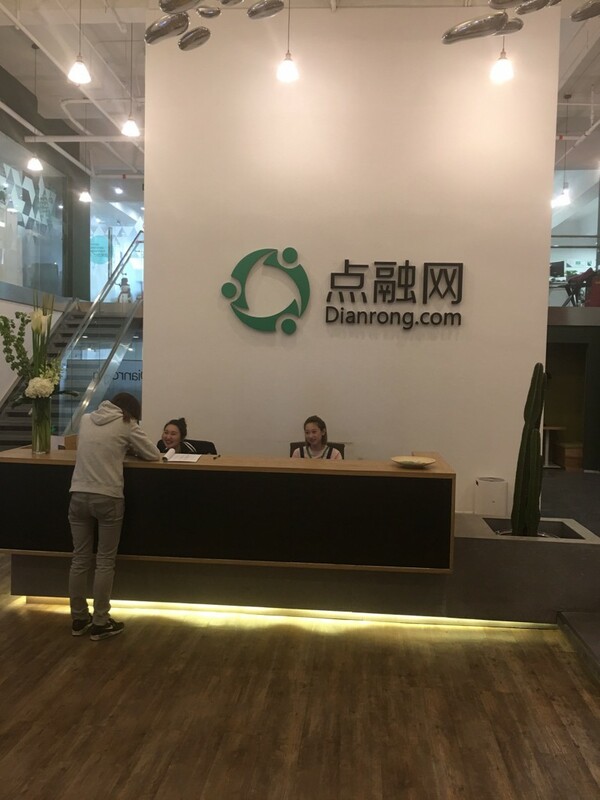 Dianrong was founded in Shanghai in 2012 by the co-founder of Lending Club Soul Htite and private fund partner Yuhang Guo focusing on peer-to-peer lenging. It has been expanding quickly with 28 branches and 3500 employees all over China. As a leading fin-tech company, Dianrong started blockchain research in 2015 and spent many efforts on next-generation solutions based on Ethereum, and have open-sourced their permissioned Ethereum iteration, DChain. Andui, a founding member of Enterprise Ethereum Alliance, is playing a key role in enterprise ethereum standardization. The core team consists of entrepreneurs, investors, researchers and technical experts. As a pure blockchain company, its main business covers supply chain finance, asset digitization, asset exchange and smart city etc. Andui, the flagship product is fully designed based on ethereum protocol and smart contract with the purpose of deploying ethereum in private or consortium environment. Hangzhou is a modern city in a classic Chinese setting. The city hums with activities and an endless flow of traffic, signs of its place in the 21st century, while the beautiful West Lake lies peacefully at the heart of all commotion, soothing the senses. 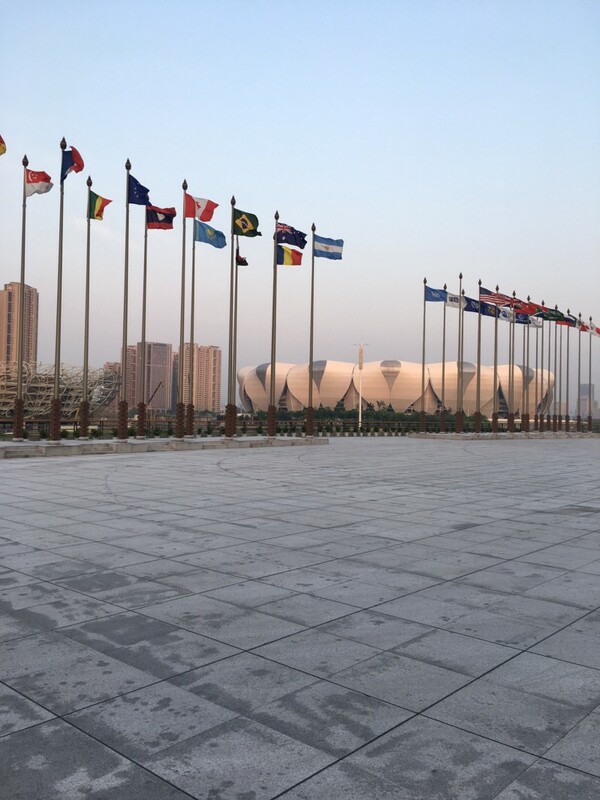 Hangzhou is also famous for hosting the G20 Summit where 20 of the world’s most influential countries gathered to improve Earth. In eastern China, Hangzhou is the capital of Zhejiang Province and one of the seven capitals of ancient China. The city is also the southern end of the Beijing-Hangzhou Grand Canal, the longest canal ever built in the world. 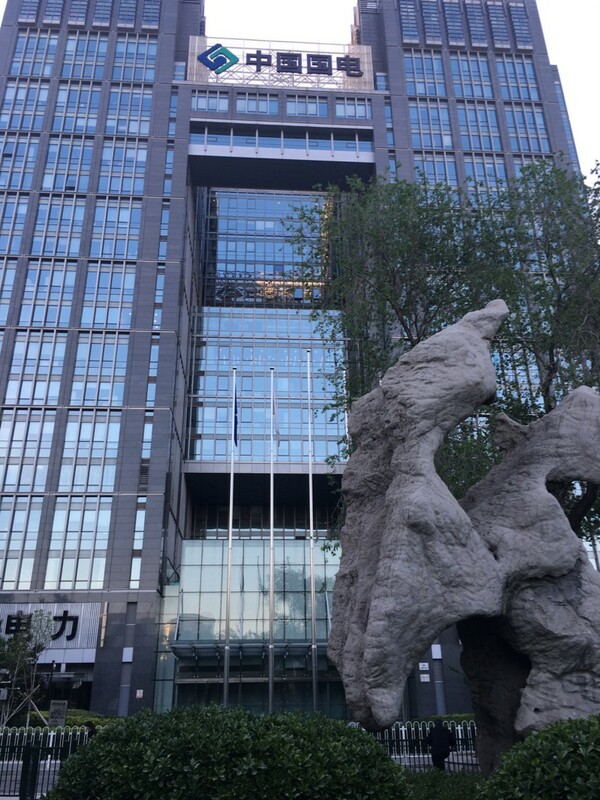 Nowadays,Hangzhou is aiming at building a Digital City,and the China’s first Blockchain Industrial Park was officially established in Hangzhou. Ant Financial, was officially founded in October 2014 and originated from Alipay, which is the world’s leading third-party payment platform founded in 2004. 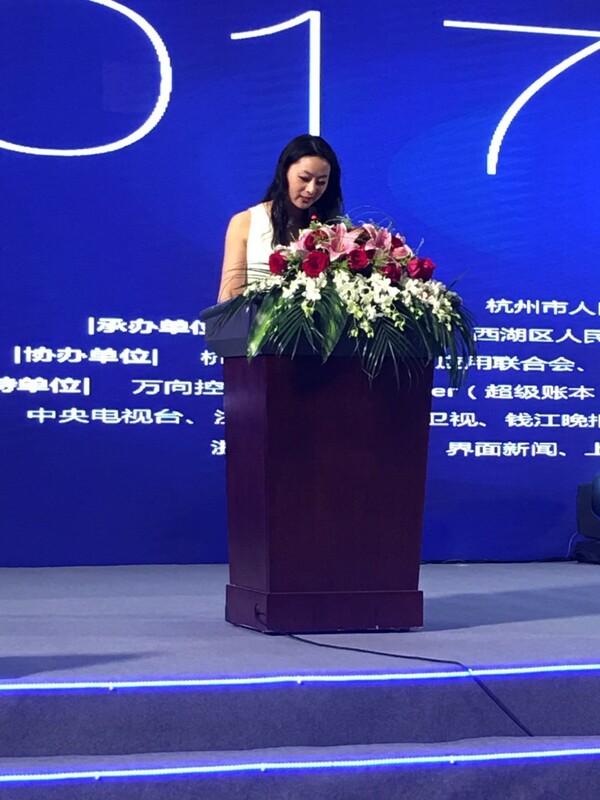 With its vision of “bringing small and beautiful changes to the world,” Ant Financial is dedicated to creating an open ecosystem, enabling financial institutions and partners to make rapid progress towards “Internet+” goals through its “Internet Booster Plan,” and providing inclusive financial services to small and micro enterprises and individual consumers. Ant Financial runs Alipay, Ant Fortune, Ant Financial Cloud and other financial services. Ant Financial’s invested companies and affiliates also work with these businesses units and support Ant Financial’s ecosystem. The services provided by Ant Financial and its affiliates cover payment, wealth management, credit reporting, private bank and cloud computing. Ant Financial is experimenting with Ethereum technology to improve their global payment platforms. 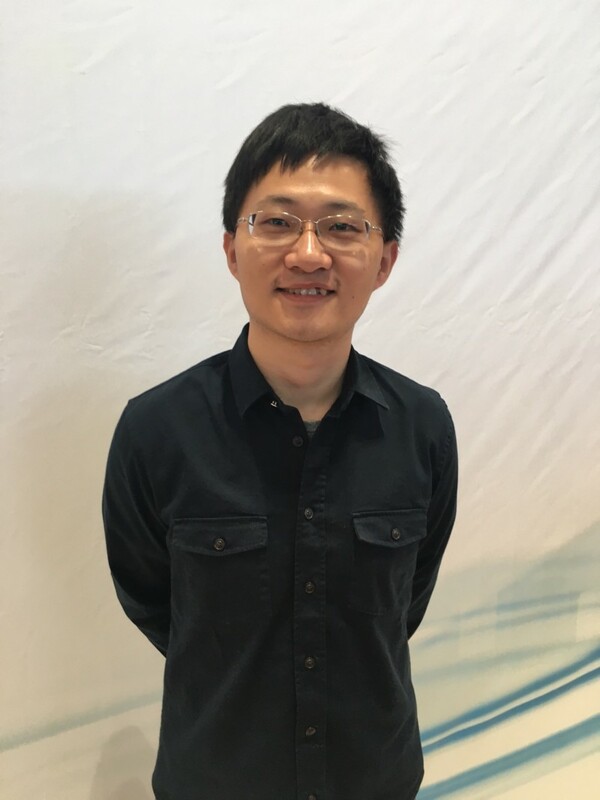 CrypTape, founded by Jan Xie, who is the only core member of ethereum project in China, is working on ethereum protocol level optimization. Their first product CITA, written in Rust, is expected to show the highest performance ever when Ethereum is used in permissioned blockchain for enterprise use cases. Cryptape is also responsible for the Ruby-on-Rails implementation of Ethereum. 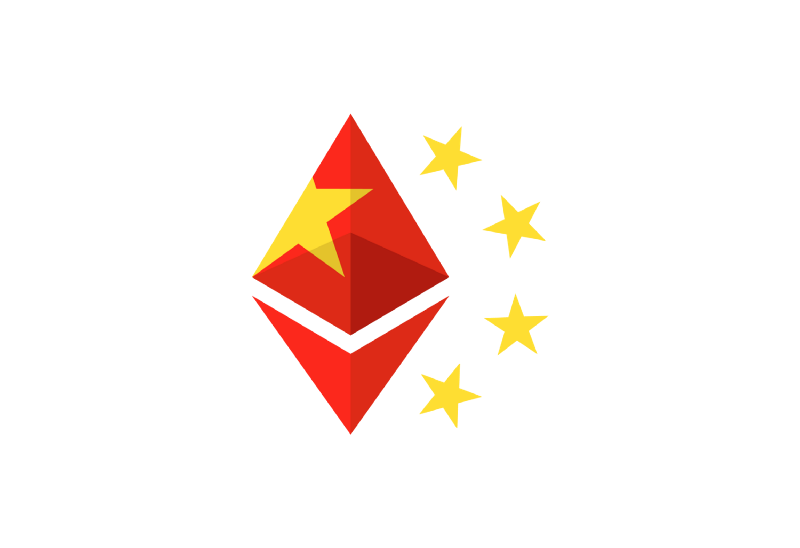 ETH Fans is a the most commonly visited Ethereum website in China. Toya is the main content creator of the site. 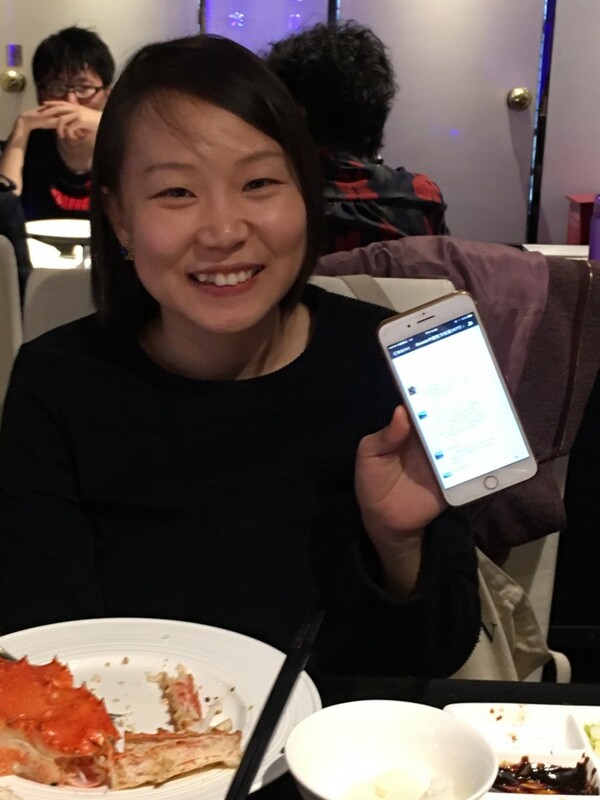 She is holding her phone showing the Chinese Gnosis WeChat group with 477 people that were speaking about the token launch on the day of the event. IMToken is the first ethereum light wallet in China. This Dapp immediately become popular when formally released by ConsenLabs after one year‘s development because IMToken has designed functionality where users can purchase ether directly from exchanges in a single click, as well as participate in token launches seamlessly. The Global Blockchain Financial (Hangzhou) Summit 2017 was held in Hangzhou International Expo Center on Apirl 28. Vitalik Buterin gave his insights on why blockchain technology is disrupting the world. 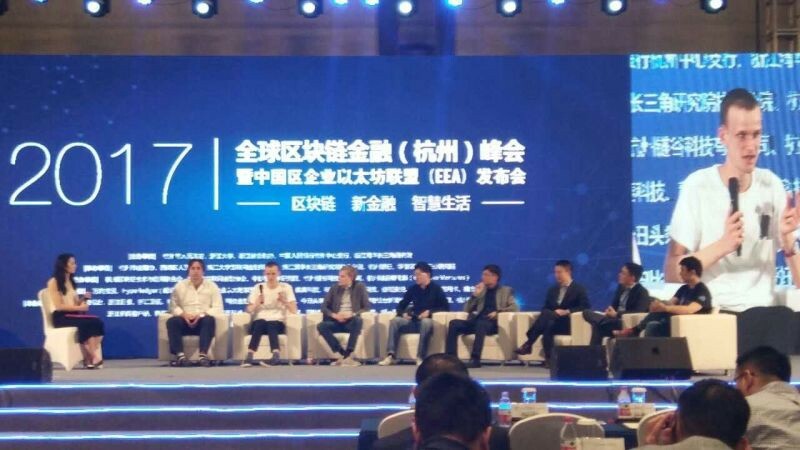 Many IT and blockchain companies also took part in the summit and expressed their ideas. The conference was featured with a dedicated EEA forum with more than 1000 people in attendance. This is just the opening act for the power house that China is. Ethereum Name Service auctions are live. Here’s Nick Johnson’s collection of explanatory links. ENSbot announces the start of auctions on Twitter. It’s surprisingly hilarious; half of them make me laugh out loud. If you used MyEtherWallet to bid, make sure to check this out just in case. Also say thank you to MEW. ETH Gas Station published Safe Low Gas Price to encourage a functioning gas market. To do, so ETH GasStation has a great tool to see how much hashpower is at each gas price. At the moment ~12% of mining hash power supports a 2 gwei gas price, so if you’re willing to wait about 13 blocks at the moment, you can lower your gas fees by ~10x. Etherchain’s gas price tool says optimal gas price is about 16 gwei, but that current price is about 23 gwei. Latest issue of The Etherian. What they want to grow into. SingularDTV teases an announcement at Ethereal. 49ers QB Matt Barkley hodls Ether. Fortune’s Term Sheet daily newsletter talks Ethereum token sales. This newsletter gets translated into Chinese. And Jeremiah Nichol is producing an audio version. Both of those make my day. Good and bad news for me: subscriber count went way over 2000 this last week to about 2150, so I went from free to paying Mailchimp $30 a month. It blows me away that they can charge $360 a year for a commodity: sending a low amount of email. I’ll likely switch to SES when I have a chance. When everyone is running the same way, I'll be walking in the opposite direction. more than 2/3rd of the planned fund in less than 8 hrs. Gas usage per day has not yet reached the all-time high of Jun 18, when the blockchain was heavily spammed as part of the DAO attack and various counterattacks, but is nearing it with an 11-month highdynamically adjusting, so congestion with rapidly increasing fees is not likely) . Uncle rate on that day was only ~7.4%. Removed the artificial 20 shannon minimum gas limit from the transaction poolheavy rewrite of fast sync code, making it much more robust and stable. Identified and fixed a few EVM bottlenecksmobile bindings in collaboration with StatusWalleth and others. Preliminary proof-of-concept done for light client event retrievals. Slowly adding minor polishes to Puppeth, Clique and Rinkeby, such as a tiered faucetconfigurable gas dynamics for private network miners and automatic ENS integration. Jon Evans TechCrunch column analogizing Ethereum to Linux in the 90s as far away from when normal people use blockchains. Vitalik's response: "Linux has changed the world." Kik announced Kin at Token Summit. White paper. Reuters coverage. Laura Shin on Token Summit. Plus Jordan Leigh's conference week zeitgeist. 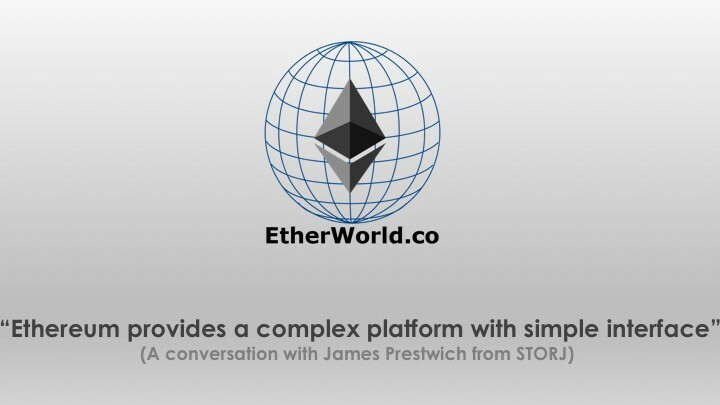 Reitwiessner: "Both [EVM 1.5 and eWASM] will probably lower gas costs of simple operations on small types by an order of magnitude"
Fred Wilson fireside chat to close Token Summit. More videos released here. Adchain announces June 26th token sale. Here's the white paper. OmiseGo publishes white paper and crowdsale doc; I've heard rumors of an early to mid June sale. 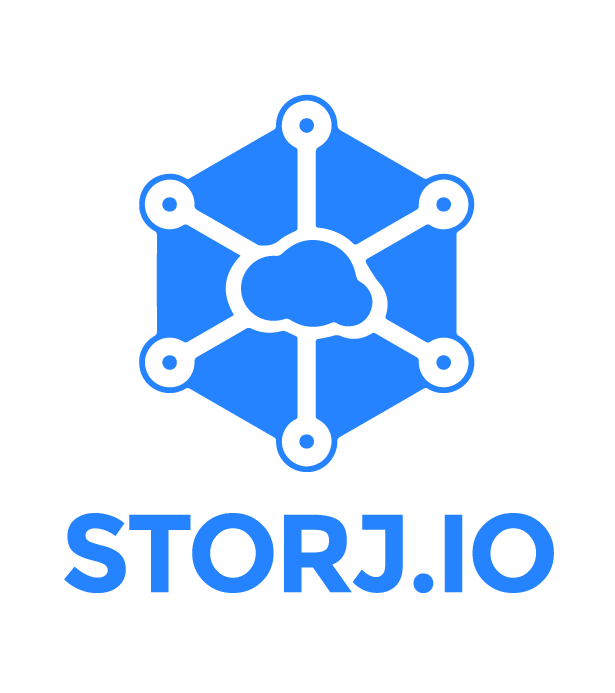 Storj sold out $30m. Mysterium sold out 14m in 45 minutes. BAT sold out 36m in 3 blocks. Can we please move toward reverse dutch auctions and proportional refund caps? Or perhaps a continuous sale model? Zooko: Why I’m advising BAT. Kudos to Zooko; this should be normal practice. I gave a talk to the Philly Ethereum meetup on whether we're in a bubble and token sales. Also, wide ranging 45 minutes of Q&A. My answer on regulation is something I've been meaning to turn into a blog post for months. Geth v1.6.5 is a security release to counter on ongoing attack on mainnet! Use a bitmap instead of a hashmap to store the results of jumpdest analysis, and optimise analysis process (#14570). a rare condition where quickly creating a new account was generating an account not matching the recovery phrase. compressed RLP strings caused wrong/empty transaction receipts on Classic network. blacklisting the empty phrase account from UI and RPC on non-development chains. See also this blog post. canceling transactions that didn't have a condition. the updated Expanse fork block and chain ID. time in cryptocurrency history, Ethereum has overtaken Bitcoin in U.S.
the United Kingdom and Singapore. In South Korea, a country where ETH’s trading volume is bigger than that of Bitcoin’s, the Ethereum search term ranked higher than Bitcoin consistently. the biggest exchanges in the country. to the price rally that is taking Ether to unprecedented heights. Ethereum network, which are gathering millions of dollars every week. market dominance has grown from 4.5% to 31.38%. be coming to cryptocurrency market. Starting 1 July 2017, Bitcoin use in Australia will no longer result in double taxation. The government announced the change in its 2017–18 budget report. NEM partners with Blockchain Global to expand internationally. Vitalik Buterin: The cryptocurrency prophet. Nvidia to launch graphics cards specifically designed for digital currency mining. Bitcoin accepted at New York pre-school. Colombian Government Still Does Not Recognize Bitcoin as a Legal Currency. The ENS soft launch period is over! Monaco (MCO) token is listed on @BittrexExchange — trading begins July 1st, 6pm US Pacific Time. EOS Trading on Bitfinex from July 01, 2017. Augur Weekly Development Update — June 29th. InPay — First Dual Blockchain Project For Ethereum Classic and Waves. EthereumJS Team is Seeking Contributors. Golem — Testers Wanted for a New Golem GUI. Accounts, Transactions, Gas, and Block Gas Limits in Ethereum by Hudson Jameson. Ethereum Core Developers update (June 30, 2017). Vitalik’s views towards token sale. Blocktix — Blocktix is an Ethereum based, counterfeit-resistant solution for individuals and event hosting businesses to distribute, advertise, and transfer ownership of event tickets or passes. It is an event hosting platform designed for the real world. July 07, 2017. Twitter Crowdsale details. EOS in London Fintech Week — July (10–14), 2017. Originally published at localhost on July 2, 2017. 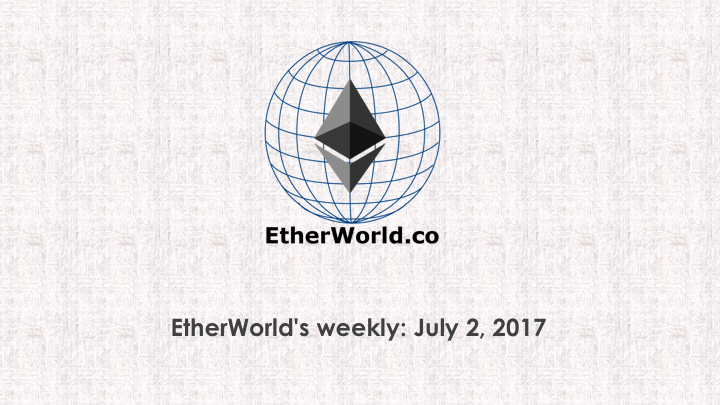 Latest News, Technical Blogs and General discussion on Ethereum, Blockchain and Cryptocurrency. Vitalik on inflation: "Once Casper comes out, ~0.5-2% annual seems feasible. Once we add partial tx fee burning and if fees go up, may go to 0 or lower." Momentum appears to be building for EIP 186 to reduce mining rewards from 5 ETH to 3 ETH. Underhanded Solidity Coding Contest -- who can write the trickiest code? Want to contribute to the EthereumJS Team? "a way to send tokens so that you can pay for the gas of moving them from any account, not just the recipient account." Ethereum's Stack Exchange graduates out of beta. Two mining pools currently have 50+% of hash rate. Alex Miller: Microgrids aren't the answer. Ethereum is. George Hallam: What is Melon? María P Gomez joins Aragon. Good read, she seems perfect for the role. Sadly there was quite a bit of misogyny in the Ethtrader comments. Boo. "Michael Novogratz says cryptocurrencies would be worth more than $5 trillion in 5 years"
Some time in early August, there will be an announcement that I've joined ConsenSys. Here's a logo to draw your eye in case you were going to skip over this section: I'm very excited about this move and will have significantly more to say in the future. The newsletters should become more regular again! In the meantime, I wanted to make it clear so that you can judge whether I favor ConsenSys projects. My charge from Joe Lubin is pretty similar to what Status has told me: keep telling the truth and covering the space objectively, even if the truth hurts. This is a small bugfix release that fixes several trivial but very annoying bugs that were introduced with 0.4.12. We also deprecate some old features in preparation of the breaking release 0.5.0. Syntax Checker: Deprecated throw in favour of require(), assert() and revert(). Type Checker: Warn if a local storage reference variable does not explicitly use the keyword storage. Code Generator: Correctly unregister modifier variables. Compiler Interface: Only output AST if analysis was successful. Error Output: Do not omit the error type. Leo Arias and Patrick Walters. If you want to perform a source build, please only use solidity_0.4.13.tar.gz and not the zip provided by github directly.